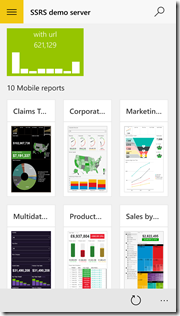 We are happy to announce the launch of SQL Server 2016 Reporting Services for Windows 10 Mobile. 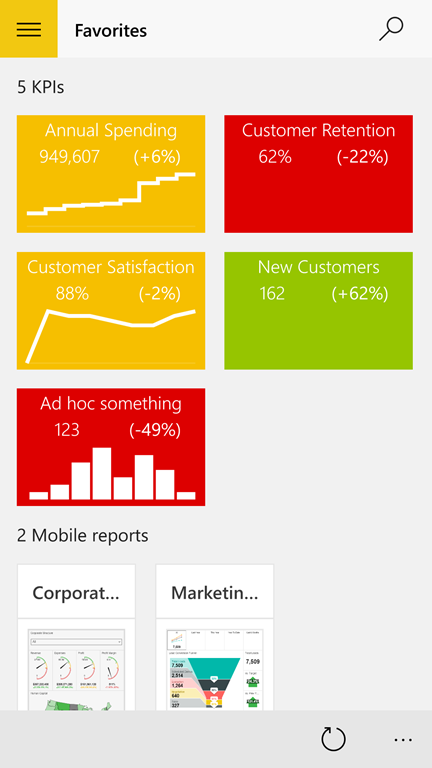 With this update you can seamlessly use on-premises data with the Power BI app on your Windows 10 phone, and stay on top of your business from anywhere with out-of-the-box mobile reports and KPIs. 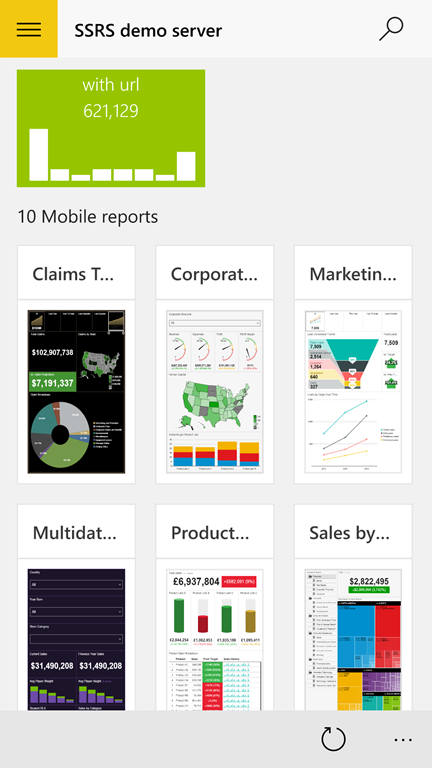 View your mobile reports and KPIs by using Reporting Services folder navigation, and access your data quickly through the favorites section. 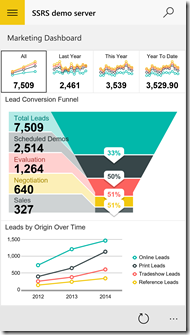 You can also view mobile reports that have shared datasets with parameters, and customize them by using organizational themes. 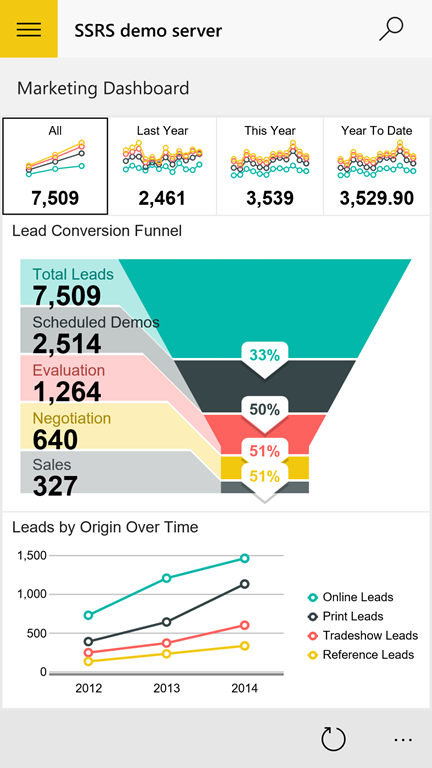 Additionally, now you can drill through from a KPI or a mobile report to another mobile report or to any custom URL. 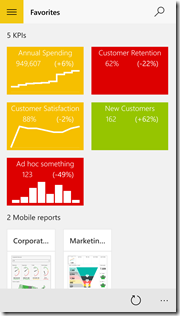 This capability is now also available on the Power BI apps for iOS and Android. With this new feature, you can make smart business decisions using both on-premises and cloud data while on the go. We hope you enjoy it!